Start Bouncing Kids. 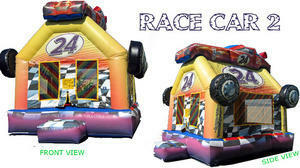 The Race Car 24 has great colors and is realistically designed. Great for parties,events,grand openings and fund raisers.